London, 1941. Emmeline Lake and her best friend Bunty are trying to stay cheerful despite the Luftwaffe making life thoroughly annoying for everyone. Emmy dreams of becoming a Lady War Correspondent and when she spots a job advertisement in the newspaper she seizes her chance – but after a rather unfortunate misunderstanding, she finds herself typing letters for the formidable Henrietta Bird, the renowned agony aunt of Woman’s Friend magazine. Mrs Bird is very clear: letters containing any form of Unpleasantness must go straight into the bin. But as Emmy reads the desperate pleas from women who may have Gone Too Far with the wrong man, or can’t bear to let their children be evacuated, she decides the only thing for it is to secretly write back. So they say never judge a book by it’s cover but I admit when I had to choose which of these books to read first (it was a difficult choice as I wanted to dive into all of them!) I was persuaded by the artwork. The bright turquoise and orange graphics stood out and the font and stamps design suggested it was going to be going to be a vintage read which the blurb then confirmed. The embossed cover is gorgeous. Emmy’s story is told in the first person which drew me in from page one. Her youthful enthusiasm is refreshing and it certainly took me back to my days of applying for jobs and dreaming of the future. Emmy’s has a lovely friendship with Bunty, her longtime friend and house mate but sadly this relationship is tested along the way. I enjoy reading books about life on the home front during wartime. However I also agree with Judy that “there is nothing nostalgic or “period” about this book- part of it’s charm is that Emmy’s and Bunty’s lives have a curiously modern feel: young people are young people whatever era they live in.” Even more curiously one of the letters is sent from a “shy teenager” yet this term- teenager not shy- only came into use later on during the 50’s so we’ll put this down to the author’s poetic license. Speaking of letters, like Pearce I am also a fan of vintage magazines, comics and annuals. The problem pages are very interesting and a revealing insight into real life during another era. The letters to Mrs Bird are dotted about in this book but I would have appreciated a whole chapter dedicated to a “Henrietta Helps” magazine spread. The letters and replies are often amusing, even when they’re not meant to be! Mrs Bird will not reply to any letters containing “unpleasantness”. When Emmy replies to the women in need, she does so from a good place in her heart and we’re rooting for her. She doesn’t always get everything right but this makes her human and endears her to us all the more. In this book there is heartache, loss, fear and despair but there is also warmth, humour, love, hope and a strong determination to keep going even when life is tough and bombs are dropping. It’s an easy, comfort read to enjoy over the weekend with an important reminder that even during the darkest of times, the British always looked for the light, a message that is relevant always. I’ll link to the podcast once it’s live! 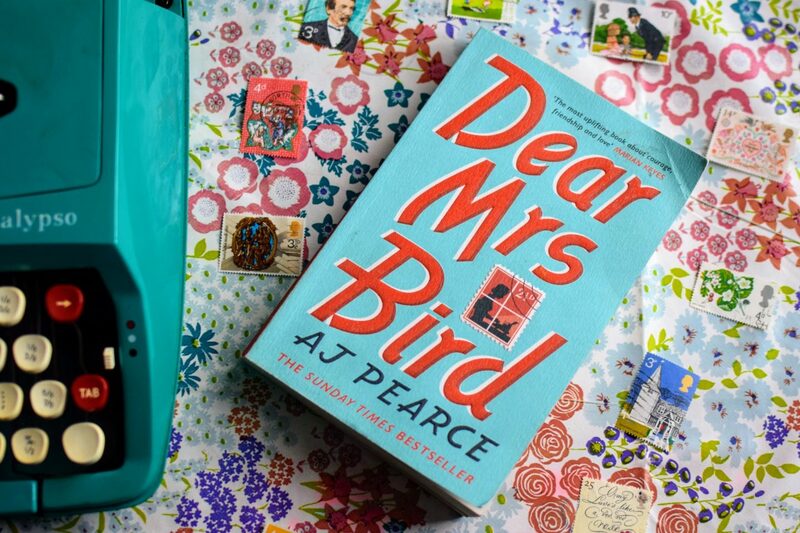 For a chance to win a copy of “Dear Mrs Bird” please enter the Rafflecopter below, remember to read the terms and conditions- good luck! Sounds good and I always like to challenge myself by reading something good outside my usual genre. Good reviews, would love to read this book. 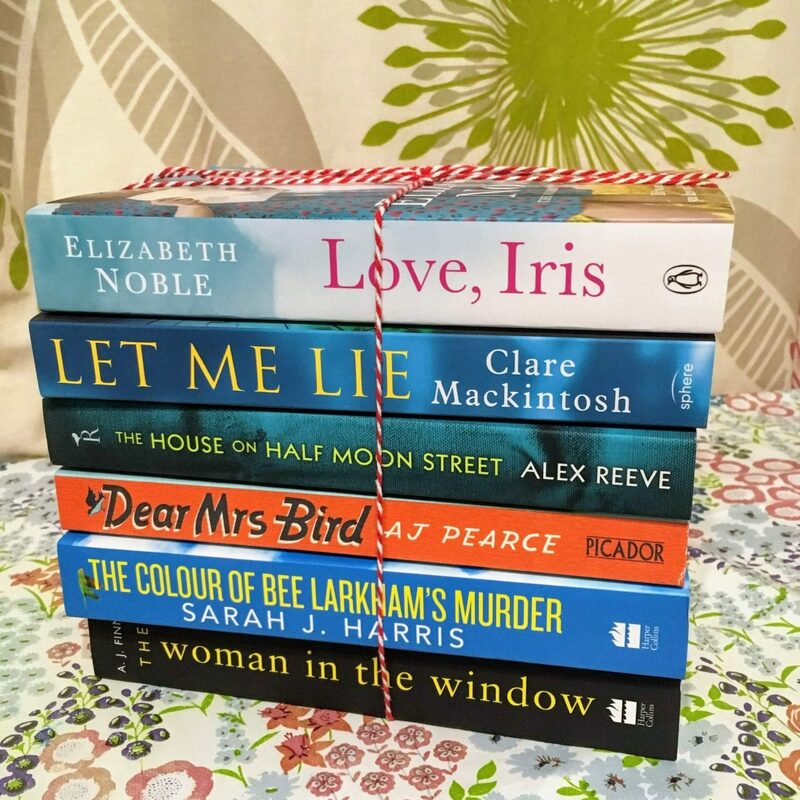 My Mum reads a lot, so would love to win this book for her. Sounds like a sweet, uplifting book about courage and friendship. The story sounds very much like the stories that i enjoy.I think it’s right for the people with problems not be ignored and that she does the right thing.I’d love to read more about where it leads her. Buying new books either for myself or the children is a little treat so I really appreciate reviews as I know they will be read. Thanks for the giveaway, also. The cover and the Richard & Judy review have intrigued me! 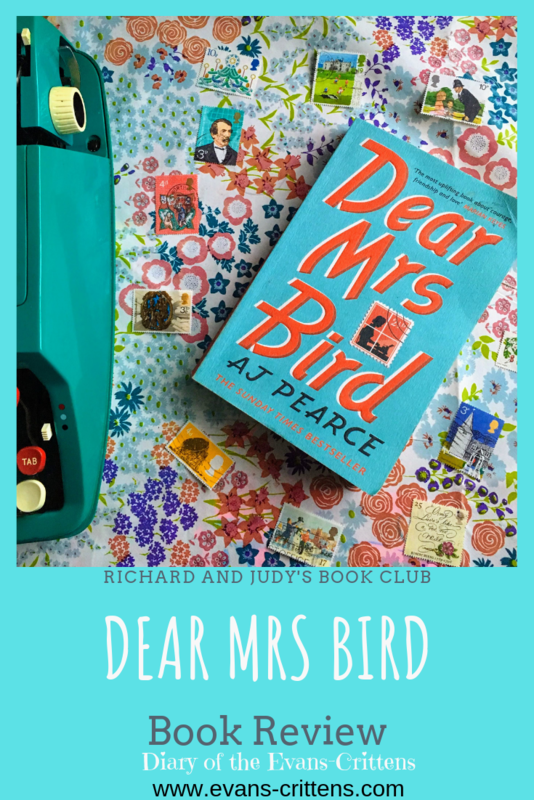 Why would you like to read “Dear Mrs Bird”? Heard so much about this book and the reviews are good. It’s on my must read list. It sounds so interesting and heartwarming and I just want to know what happens to Emmy if and when she gets found out! I love discovering new authors and new books! This book sounds like like my sort of book. It looks like the kind of book I would really enjoy. I love to read and this book looks interesting and different to my usual genre. It sounds really interesting and eciting! I love all things to do with the 2nd world war so this would be a great new angle on this subjsct. I am doing a challenge to read 50 books this year and am loving it, have found several new authors and would love to try this one. It sounds ideal for my mum as part of a mother’s day gift. She likes reading books set in the war era. I will read pretty much any fiction and I’m always looking for my next book! This book looks an interesting read during summer in the garden!